Africa’s leading financial institution, United Bank for Africa Plc has announced its audited 2018 half year financial results, showing strong growth across key performance metrics as well as a significant contribution from its African subsidiaries. Despite declining yield environment in two core markets, Nigeria and Ghana, the pan Africa financial institution delivered double digit growth in gross earnings, as it recorded a 16 percent year-on-year rise in top-line to USD749 million, compared to USD646 million recorded in the corresponding period of 2017. This performance, according to analysts, underscores the capacity of the Group to deliver strong performance through economic cycles, even in a challenging business environment. 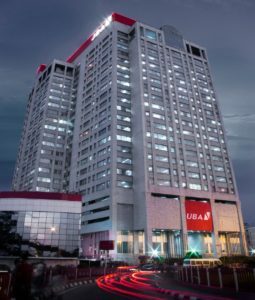 According to the report filed to the Nigerian Stock Exchange on Wednesday, UBA, reported strong growth in operating income at USD489 million, compared to USD470 million in the first half of 2017, an increase of 4.1 percent. Notwithstanding the inflation-induced cost pressure in the period, UBA finished the first half of the year strongly, with a Profit Before Tax of USD169 million. The Profit After Tax also improved to USD127 million, a 3.4 percent growth compared to USD123 million achieved in the corresponding period of 2017. The first half of the year profit, translated to pre-tax and post-tax return on average equity of 23% and 17% respectively. In the first six months of the year, the Bank’s Total Assets grew 4.9% to USD12.4 billion and Customer Deposits rose by 6.1 per cent to USD8.4 billion, compared to USD7.9 billion as at December 2017. This growth trajectory underlines UBA’s market share gain, as it increasingly wins customers through its re-engineered customer service and innovative digital offerings. The Group’s Shareholders’ Funds remained strong at USD1.44 billion, even as implementation of IFRS 9 impacted the total equity of the bank and its peers. In line with its culture of paying both interim and final cash dividend, the Board of Directors of UBA Plc declared an interim dividend of 0.058 US cent per share for every ordinary share of 0.14 US cent each held on the qualification date – Wednesday, September 05, 2018. “We are integrating banking to our customers’ lifestyle, simplifying processes for routine transactions and driving financial inclusion by making banking services accessible and affordable. We are creating opportunities for wealth creation and economic progress, as we empower our customers through innovative platforms and solutions that support their personal and business growth. Our commitment to delivering excellent service is paying-off, as we increasingly win a bigger share of customers’ wallet across our chosen markets. We won the highly coveted “Africa’s Best Digital Bank” Award by Euromoney, demonstrating our pioneering initiatives are being recognised with Leo, our digital banker having been name checked by Mark Zuckerberg ” Uzoka said. “We sustained our asset quality, with cost of risk at 0.8%. Whilst the loan book declined by 6.5% due to prepayments from some customers in Nigeria and Ghana, we grew the overall balance sheet by 5% in the first half of the year. The Group’s capital adequacy ratio of 23%, Bank’s liquidity ratio of 48% and loan-to-deposit ratio of 57% all reinforce our capacity to grow, with ample headroom for risk asset creation,” Nwaghodoh said. In recognition of UBA’s dominance in Africa’s digital banking space, UBA emerged the Best Institution in Digital Banking across Africa, courtesy of Euromoney. Earlier in the year, UBA launched Leo, an e-chat service using artificial intelligence to help customers execute transactions on Facebook, the first of its kind in Africa. The Bank is set to replicate the success of Leo on WhatsApp on September 1st, bringing convenience to its growing youthful customer base across Africa.